Just how much O.J. Simpson can you take in one sitting? ESPN is betting that some filmgoers and followers of Simpson’s story will be willing to spend approximately nine hours to view its upcoming O.J. : Made in America documentary on a theatrical big screen. The network has been rather ambitious in its belief that the seven-hour, 43-minute film should receive Academy Award consideration. But for a documentary to be considered for the Oscars, it has to play in theaters, not just on television. Consequently, ESPN is showing O.J. : Made in America in four theaters in New York and Los Angeles beginning May 20 for a one-week cinematic run. The film will be shown with two breaks for viewers. Typically, Academy Awards rules require a documentary to play four times a day during its theatrical run. But considering the length of this O.J. 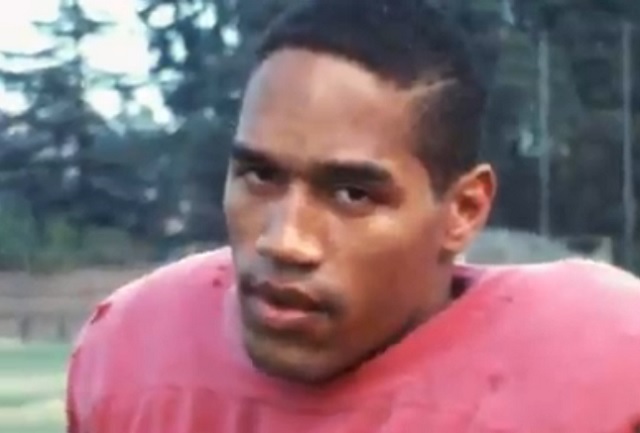 Simpson film, the Oscars are allowing ESPN to meet that requirement by showing O.J. : Made in America on two screens per day. The film has already shown at the Tribeca Film Festival and Sundance Film Festival, further demonstrating ESPN’s Oscar ambitions, while also convincing the network that theatrical showings for a short run were viable. Apparently, watching the entire documentary in one sitting is how filmmakers prefer it to be viewed. ESPN senior vice president Connor Schell told the Los Angeles Times that O.J. : Made in America “was not constructed as an episodic series, while director Ezra Edelman said to the New York Times, “I call it a long movie.” From the beginning, the project was envisioned as a longer documentary that told a wider-ranging, all-encompassing story that focused on far more than Simpson’s athletic career and murder trial, more like what you might see on public television. Though that might appear to be an excessive demand for viewers, the recent popularity of longform true crime documentaries — such as HBO’s The Jinx and Netflix’s Making a Murderer, along with season one of the Serial podcast— seemingly says otherwise. However, even with binge-watching (or listening), those stories weren’t necessarily taken all in during one sitting. Those who don’t have nine hours (or more) to devote to a theatrical screening can watch O.J. : Made in America over five installments when the documentary premieres June 11 on ABC before moving over to ESPN for the other four parts. Of course, you can always record the entire run and watch all of it in eight hours (at home, rather than a theater) if you so choose. But try to give yourself at least two breaks, OK?